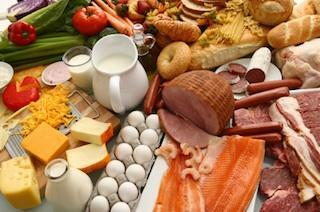 High protein foods contain taurine. Is there a connection between autism and low taurine? Some people are looking to this supplement as a possible treatment for autism spectrum disorders, while others caution against the practice. Taurine (also called L-taurine) is an amino acid that naturally occurs in the body. Two other amino acids, methionine and cysteine, can make L-taurine. The amino acid is a popular supplement for athletes, and it is a common ingredient in energy drinks. According to the Nutritional Supplement Review, the amino acid can improve mental functioning by calming the nervous system and the brain. This can help reduce anxiety. The Nutritional Supplement Review lists potential uses for L-taurine, and autism is not among the disorders listed. It does, however, note that the amino acid may be useful in treating anxiety and epilepsy, which can be of interest in relation to autism spectrum disorders. The amino acid may be effective in calming the brain and nervous system, which may improve "excitable brain conditions," according to the review. Are You Dangerously Deficient in Taurine explores possible problems associated with a taurine deficiency. Among the problems noted in the article is autism and low taurine levels. Those who do not want to use supplements can obtain taurine by high protein foods and brewer's yeast. Is taurine supplement a viable treatment for autism? The approach is not established, and it does not appear in mainstream treatments for autism spectrum disorders. However, DAN doctors may incorporate this type of therapy into treatment. The dietary supplement may benefit patients who show low levels of taurine in urine tests. People experiencing seizures, heightened anxiety or hyperactivity may benefit from exploring taurine as an alternative treatment for autism. Parents who would like more information about using supplements like L-taurine to treat autism can benefit from discussing this option with their child's pediatrician. A urine test can detect a deficiency, and the physician can make recommendations for supplementation.